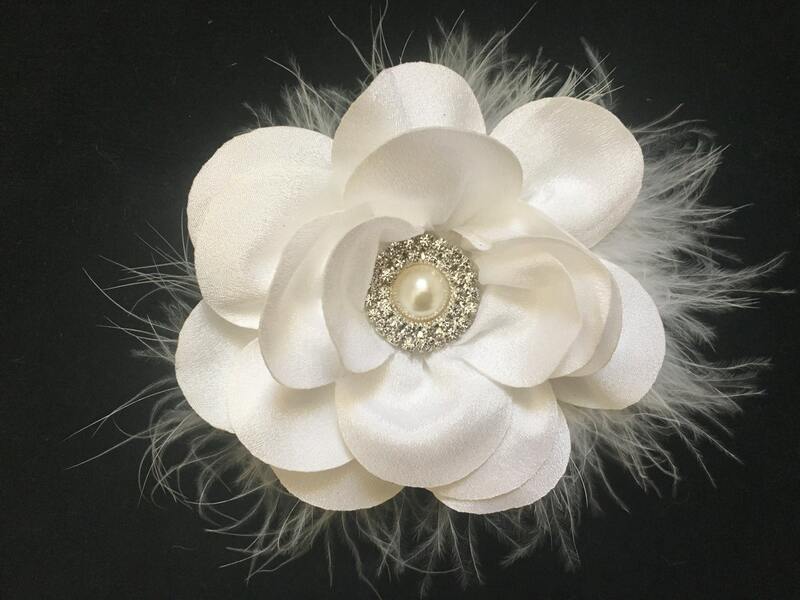 Marabou feather and Pearl Rhinestone Center. 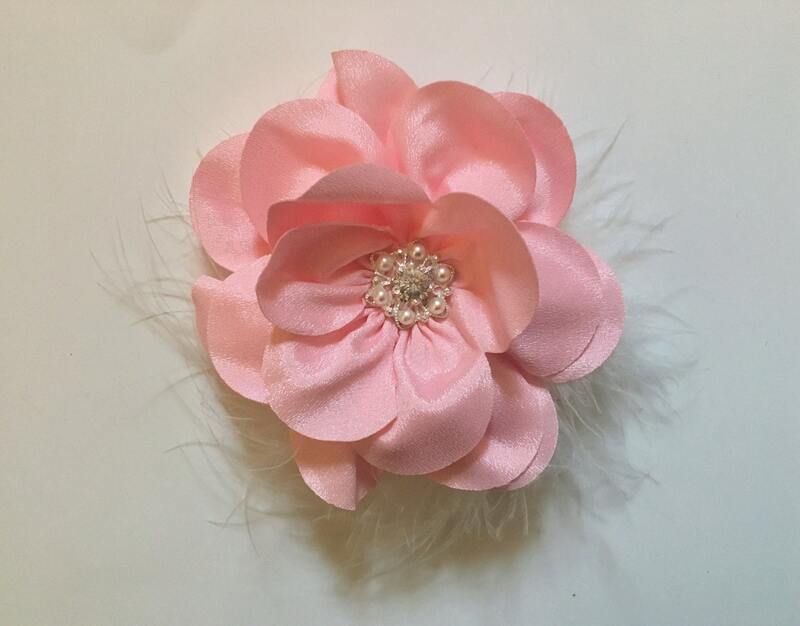 We have a large selection of color marabou, rhinestones and pearl. 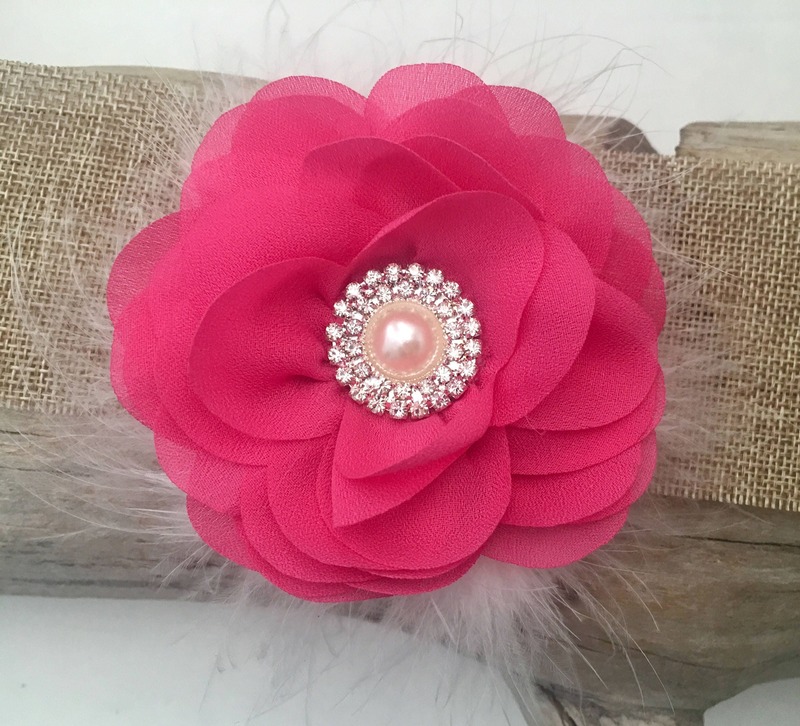 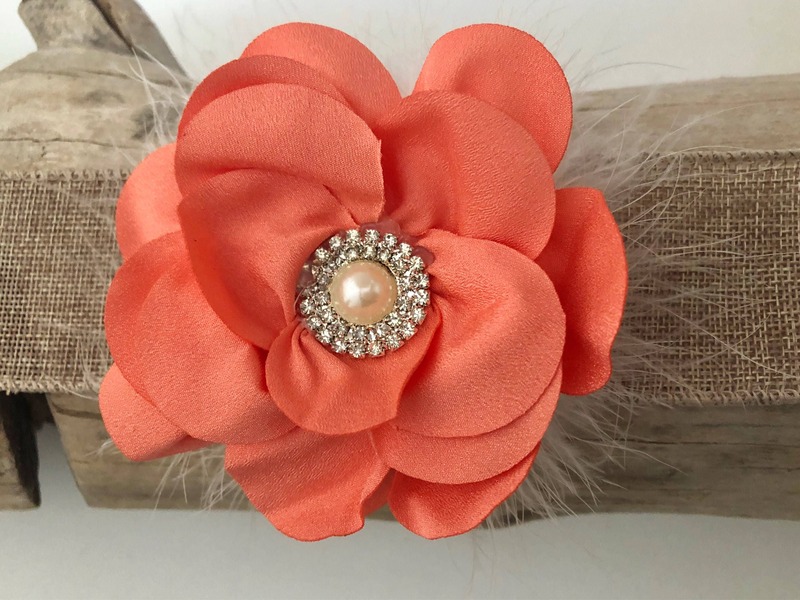 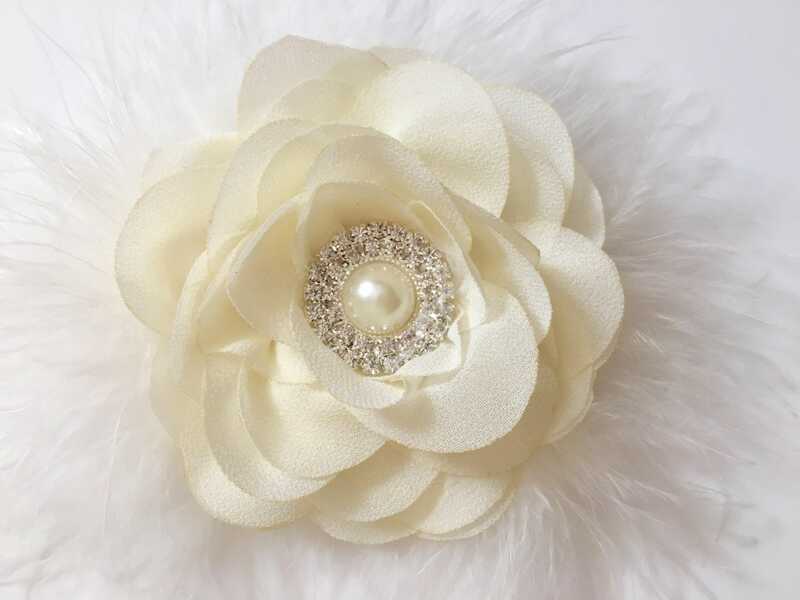 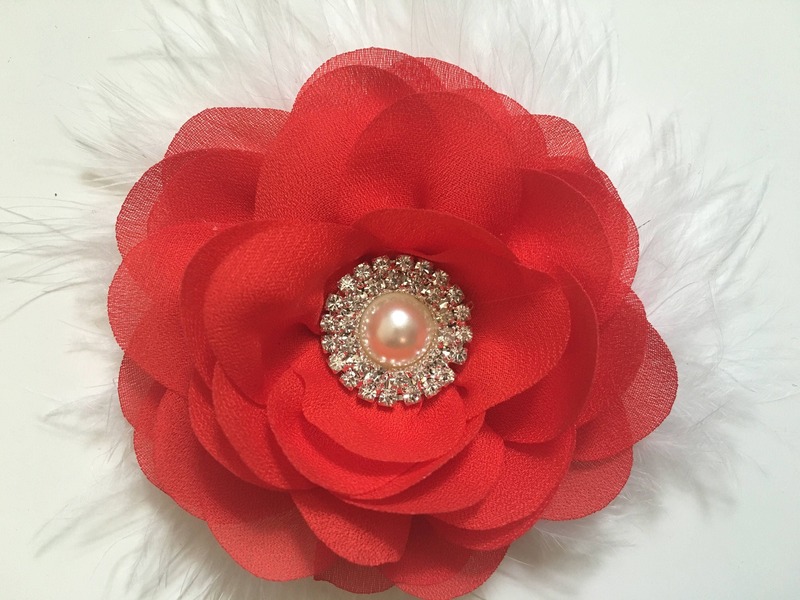 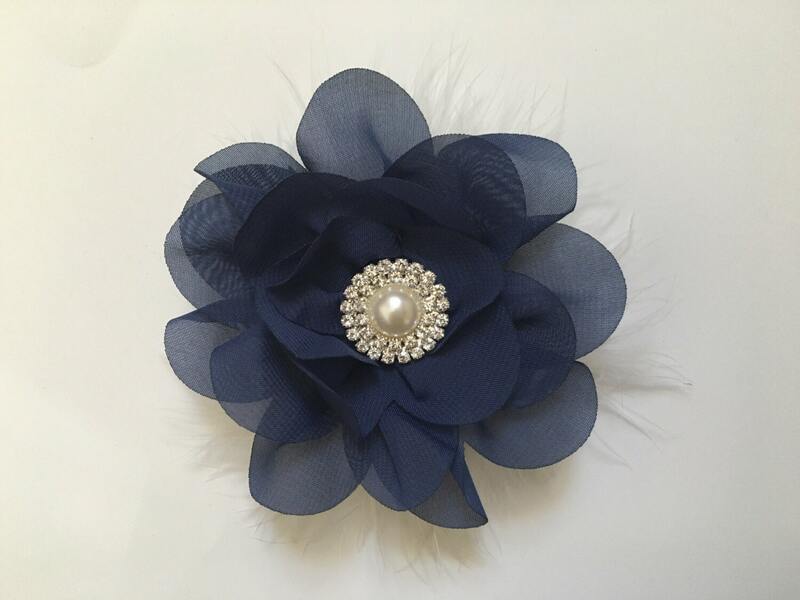 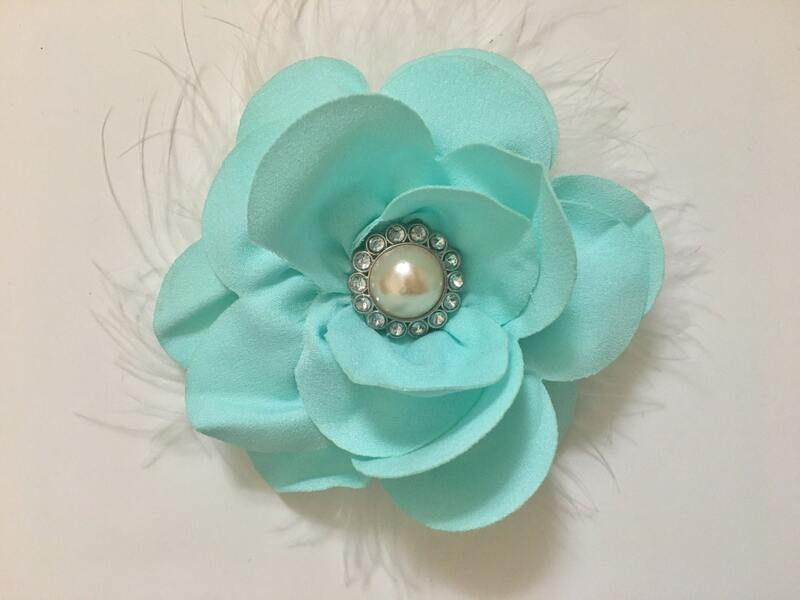 Available on a Baby Headband or arched headband.